Obviously, I like to write. It’s cathartic and it amuses me. I got this wild idea recently to write song parodies. Don’t ask me why. I can only say it amuses me. Unfortunately, I can’t sing anymore and I don’t play any musical instruments an more, so I can only post the lyrics. You’ll have to add the music yourself in your head. If anyone out there wants to record them, let me know. I’ll handle getting the appropriate copyright licenses. The first one I’m going to share with you is, unfortunately, not from a popular song. It’s from the album (do we still call them albums?) 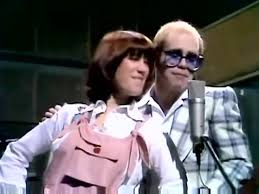 The Union, by Elton John (who else?) and Leon Russell. If you were born before 1970 you’ll probably remember him. He liked to wear top hats back then. He’s about 70 now and lives in Nashville. Elton John is a big fan. 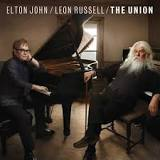 Apparently a couple of years ago, Elton was listening to Leon and decided to do an album with him. That’s Leon on the right. The original song is called “Gone to Shiloh”. It’s a lugubrious song about a soldier who leaves Tennessee to fight for the Union. Not for the Confederacy, but for the North. Tennessee had split loyalties at the start of the “War of Northern Aggression” (the Civil War to anyone living anywhere but the South.) The landowners in the western part of the state, many of whom owned slaves, wanted to secede. Many of the folks living in the mountains wanted to stay with the Union. Tennessee as a state eventually sided with the Confederates, but some people who lived in the mountains did fight for the Union. Hence the song. I discovered an unusual connection with this particular song. The first time I heard it, I was in a car travelling to the Smokies to do a section hike on the A.T. This section of the A.T. runs back and forth across the Tennessee and North Carolina borders. While we were hiking one day, we came across a small gravesite. The AT guide explained that the graves belonged to several soldiers who lived in the area and went to fight for the Union. 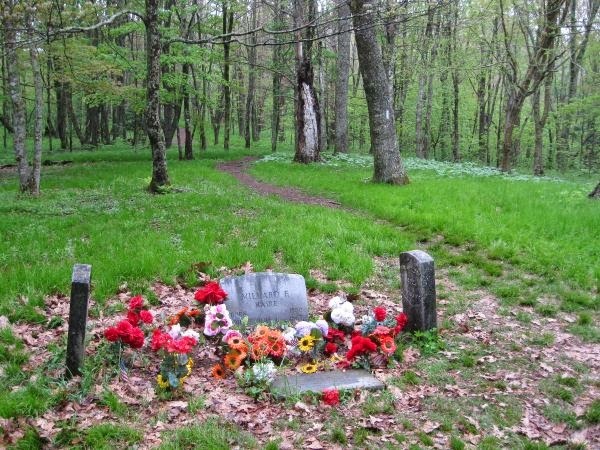 On a trip back home during the war, they were ambushed by Confederate sympathizers and killed. The event is called the Shelton Laurel Massacre. The soldiers in this gravesite were actually from North Carolina, not Tennessee. Like Tennessee, some people living in the mountains of western North Carolina sided with the Union. When we saw the gravesite, it was surrounded by a low white fence, and the graves were decorated with flags. The site is located near a fire road, which makes it accessible. Someone cares for this site very much. When sales and coupons start to fly. And her credit card will melt when she is done.